Aluminium tapes are deep-processed products formed by slitting aluminum coils. It is an important raw material in industry. According to the aluminum alloy containing different alloy elements, the aluminum strip and the aluminum plate are also divided into eight series. However, currently used series are 1000, 3000 and 5000 series. According to the different annealing state, the aluminum tape can be divided into full soft (o state) semi-hard (H24) and full hard (h18). At present, the most commonly used should belong to the O temper, because it is easier to stretch and bend. 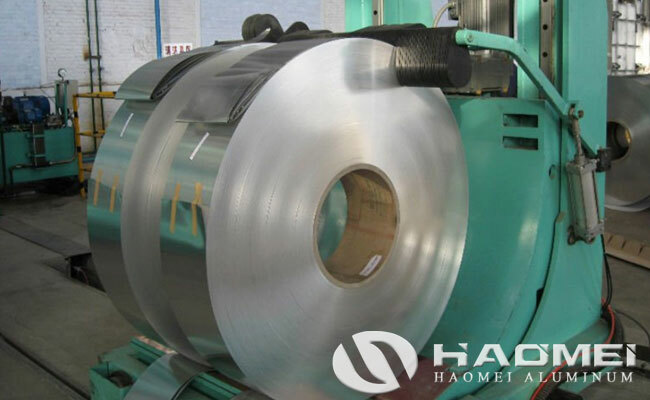 The raw material of the aluminium tape is cast aluminum coil and hot rolled aluminum coil of 1000 series pure aluminum or aluminum alloy, and the aluminum coil is rolled into thin aluminum foil tape of different thickness and width by cold rolling mill. The process technology is the assurance of qualified production, therefore, the process of producing aluminium strip tape is the most considered aspect. The main processing equipment for aluminum strips is slitting units, which can be divided into required lengths and widths according to needs. Of course, the slitting equipment is universal, and copper coils can also be processed. The processed products are called copper strips.